Each of the 21 residences in Gloucester Village was designed in a Williamsburg Colonial architecture, creating an 18th century village-like' concept. The exterior exudes timeless history. Interiors are thoroughly modern. All the town-homes were constructed between 1981 & 1983. Each is unique with spacious floor plans. Our clients love the convenience offered by these residences. This area of Hyde Park has quite a selection of restaurants, including Bangkok Bistro, Haps Irish Pub, Keystone Bar & Grill, China Gourmet are all less than one quarter mile away! Gorgeous Ault Park is less than a mile away! 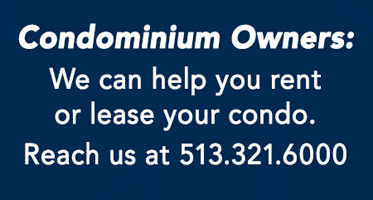 Home Owners: If you are considering selling or leasing your home, please consider calling Jennifer or Elizabeth. They access the most powerful marketing tools for your home. We are part of a network of over 22,500 fellow agents in over 950 offices around the globe. We all work together, sharing referrals when appropriate and seeking to raise the bar of professionalism in real estate. These photos are an example of the exterior and interior of Gloucester Square Village. Gloucester Square is part of 'our village'. Our offices are just a mile away. If you would like to be notified automatically when a residence becomes available for sale, Jennifer or Elizabeth can set this up for you!